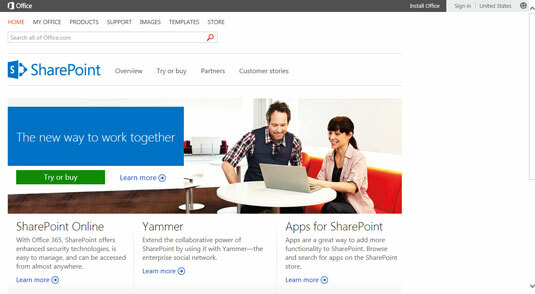 Navigate to the main Microsoft SharePoint product page. Scroll to the bottom of the page and look for the section called Find Information For. Click the link for IT Pros or Developers, depending on the type of information you want to find. Click the Forums link at the top of the page. 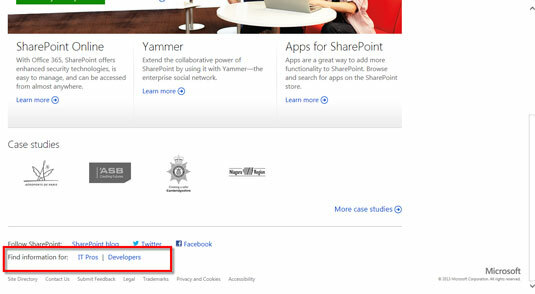 Clicking on this link loads the SharePoint forums. 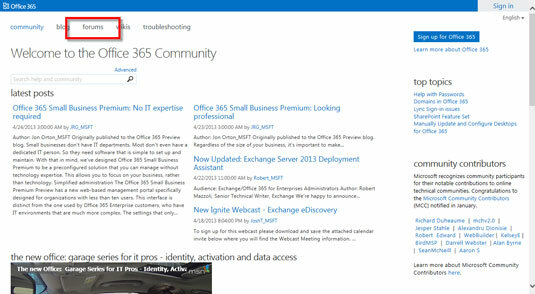 To find help for using SharePoint Online, you can navigate your web browser to the Office 365 community page. Then click on the Forums link at the top of the page. 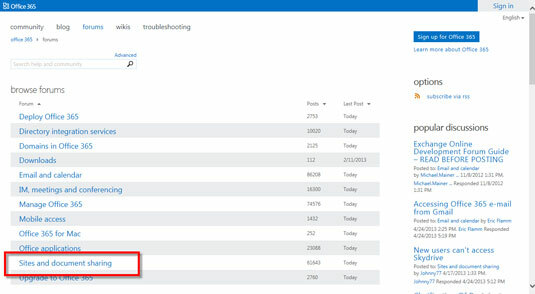 On the forums page, click the Sites and Document Sharing discussion link. 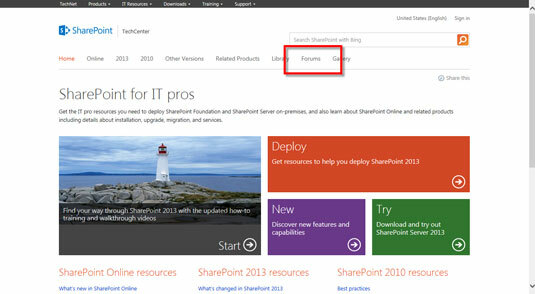 Clicking this link accesses the SharePoint topics.